In this course I teach the Tajika system of Prashna - answering a concern based on the moment that the question is answered. I first teach the basic principles of the system and then go on to cover specail rules for answering questions related to all 12 houses of the horocope. This is a very full course and will make a prashna practictioner out of anyone who studies it. This is one of my favorite courses. 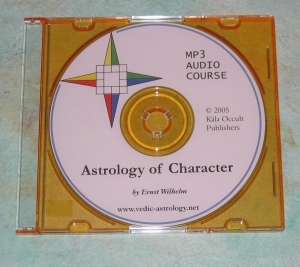 This course is 18 hours long and available on MP3 audio CD or as a download. Course includes an extensive manual and dozens of prashna examamples.